For Kate, the spark went out of her marriage long ago but her husband doesn't seem to notice. Their role as parents consumes their lives so they need to rekindle the romance they once shared. What these women all have in common is a friend with a generous soul, an irrepressible spirit- and a serious illness. In her final letters, Rachel raises one last question: What makes a friend live in our hearts forever? While studying for her Ph.D. in chemistry, RITA finalist Lisa Verge Higgins penned twelve romance novels under her maiden name. 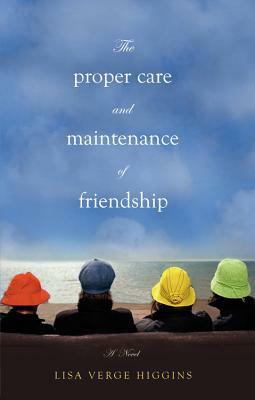 THE PROPER CARE AND MAINTENANCE OF FRIENDSHIP is her first foray into mainstream women's fiction. She lives in New Jersey with her husband, an attorney, and their children.